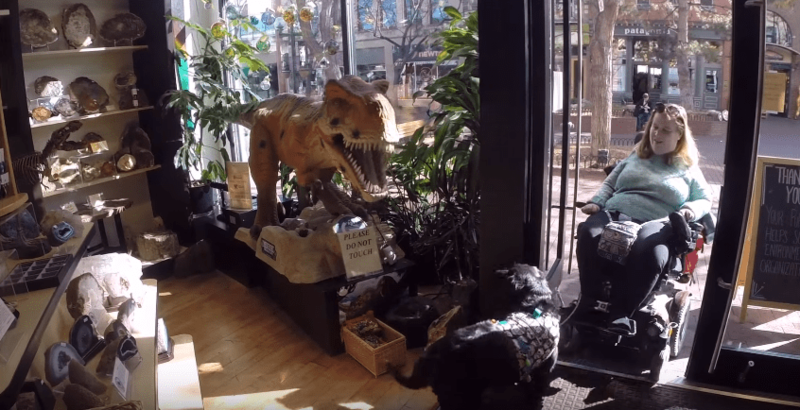 [vc_row][vc_column width=”1/1″][vc_column_text] Boulder, Colorado is very wheelchair accessible. If you’re looking for a travel destination that offers beautiful views, life in harmony with nature, and wonderful cultural and educational opportunities, Boulder, Colorado is an ideal place to visit. 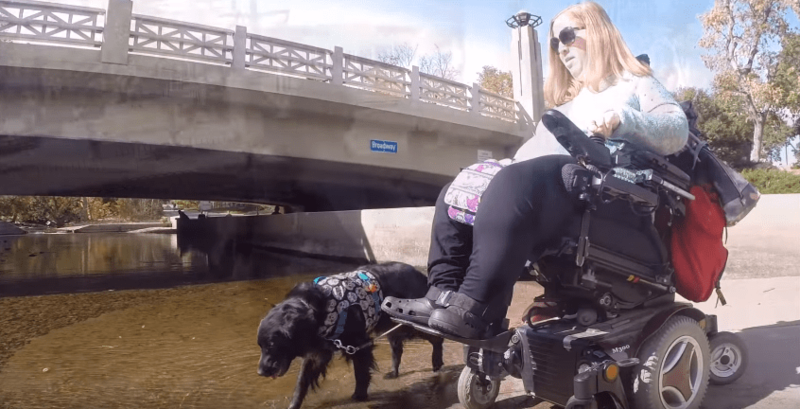 It also happens to be one of the most wheelchair accessible cities in the country. The Boulder Creek Path gives you the best of both worlds – nature and urban culture – along its 5.5 mile route from Boulder Canyon to Stazio Ballfields. Sights range from mountain views to valley surrounded by forest, and the trail crosses Boulder Creek several times with scenic bridges that make great photo opportunities. It also passes by and through the University of Colorado at Boulder; you’ll encounter many college students walking or biking. At times, this portion of the trail can be very busy, but it still feels peaceful, a place to get away from it all while still being in the middle of it all. The trail is smooth, reasonably wide, and very wheelchair accessible. Some portions are moderately steep, fine for a power wheelchair, but may be difficult for manual wheelchair users who are not physically strong. The Boulder Creek Path runs through downtown Boulder, providing easy access to food, shopping, and unique outdoor art installations. The Botjoy paintings are cute and thought-provoking; I’ve devoted a separate post just to them. A visit to Boulder, Colorado isn’t complete without doing some shopping at Pearl Street Mall. This four block outdoor pedestrian plaza has numerous stores and restaurants, ranging from big chains to unique independent businesses. The Pearl Street Mall is reminiscent of Santa Monica Promenade before it was taken over by big corporations in the early 2000’s, and seems to attract locals as well as tourists. Must visit stores include Lush Cosmetics, an international company offering fresh and ethically produced handmade soaps, bath bombs, and more. The highlight for me was Nature’s Own, a shop featuring real fossils, minerals, and unique jewelry. They have an amazing animatronic dinosaur in the front window. 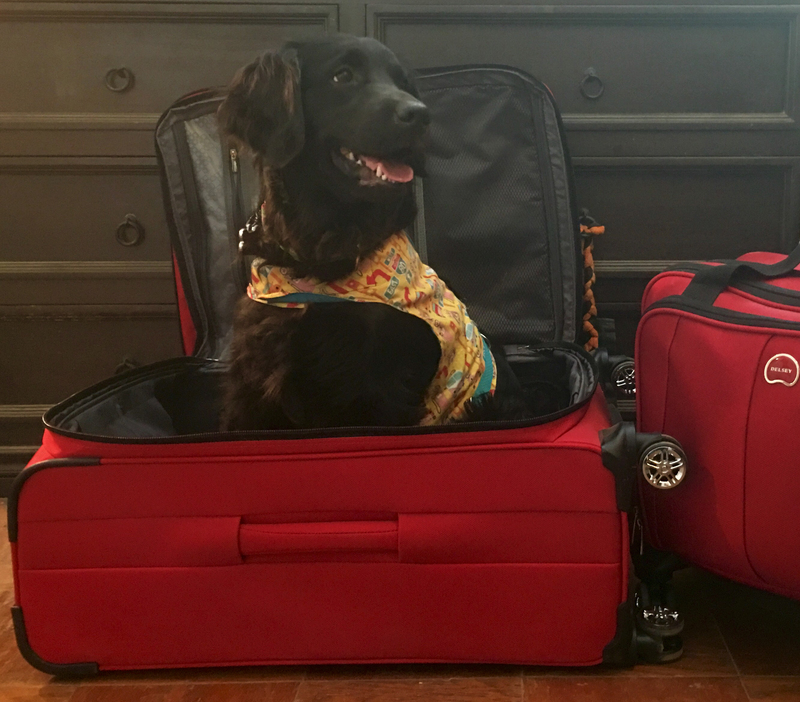 I loved him, but my service dog Aria wasn’t a fan. Aria meets a dinosaur and is NOT impressed. For fine dining, Boulder has a wide variety of choices, especially healthy, organic, and international food. 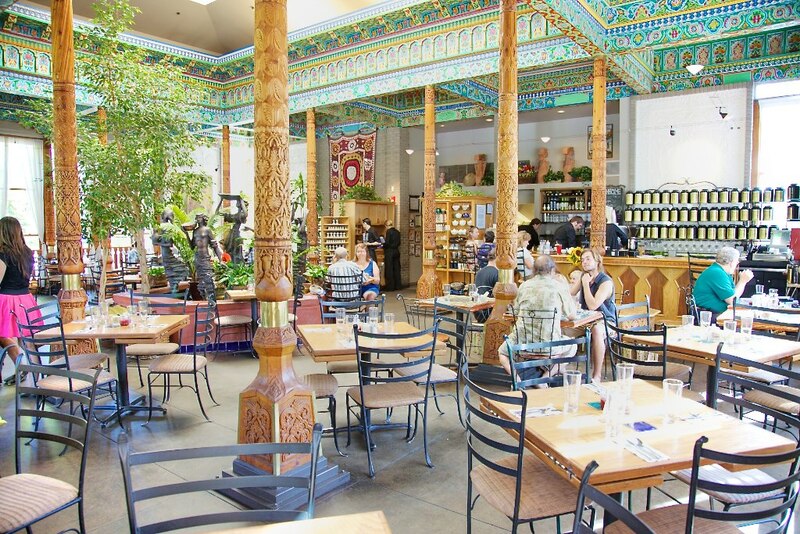 The Boulder Dushanbe Teahouse is a must-visit for the architecture and decor as well as the food. The Teahouse was a gift from Boulder’s sister city Dushanbe, Tajikistan and opened in 1998. It features international cuisine, including Tajik, Moroccan, Korean, and Indian selections, and of course a large selection of teas. They also offer formal afternoon tea with finger sandwiches, scones, and cakes by reservation at least 24 hours in advance. I enjoyed a wonderful lunch at the Boulder Dushanbe Teahouse in 2013, and hope to try the afternoon tea on my next trip. The Boulder Dushanbe Teahouse has gorgeous decor, excellent food and tea, and it’s wheelchair accessible. I’ve visited numerous cities throughout the United States and Canada, and Boulder, Colorado is one of my favorites. I’ve visited four times so far and plan to keep returning whenever I can. 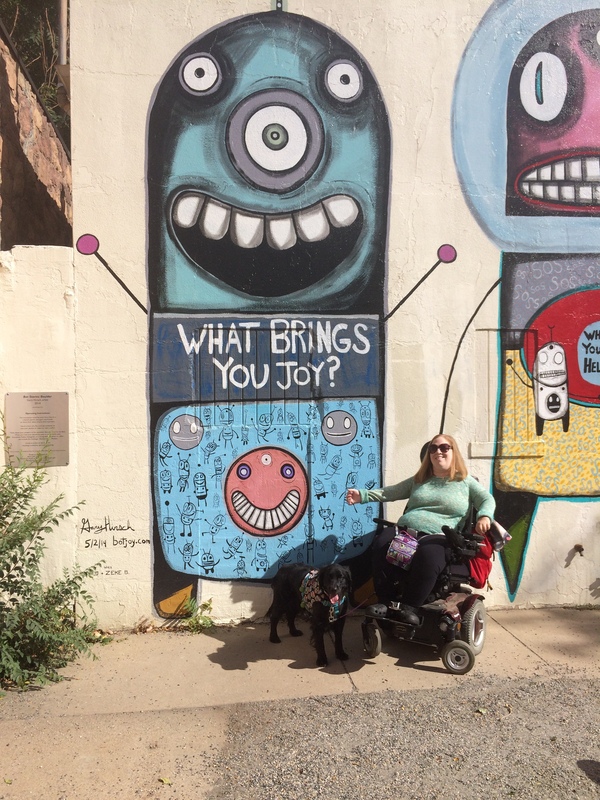 If you’re visiting Denver, it’s worth not just a side trip, but a few days devoted to the natural beauty and vibrant culture of this unique community that is wheelchair accessible and welcoming to all. 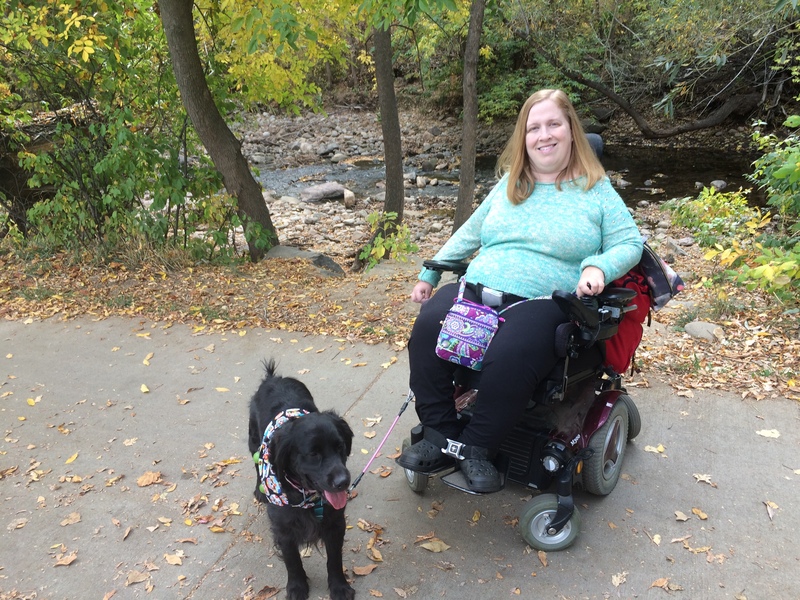 The Boulder Creek Path is so wheelchair accessible, I can let Aria dip her toes in the water!